The waters around the Maltese Islands of Malta, Gozo ad Comino are ideal for those who love to explore marine life without scuba equipment. Snorkeling is an accessible way to venture underwater and all it requires is a snorkel, mask and pair of flippers. Obviously, you can’t go as deep as with scuba diving but that is no disadvantage in Maltese waters. 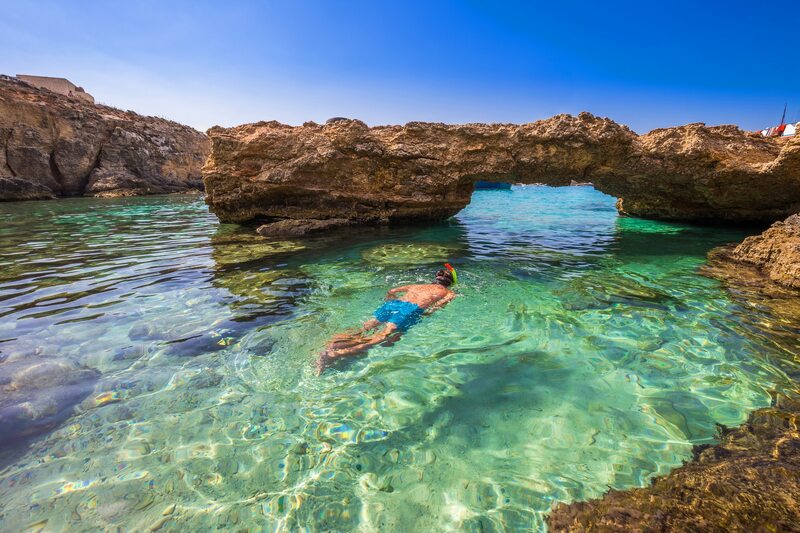 There are many spots to visit but we’ve narrowed it down to the Top 10 Places to Snorkel in the Maltese Islands. Thanks to deep waters here, this is an excellent spot for exploring with a snorkel. Be mindful that it is very popular and therefore can be busy in the summer season with tourists and local fishermen. Ghar Lapsi is a small cove in a ruggedly rocky coastline and the best swimming is out of the inlet and along the coast. Less accessible as some other destinations because you should only swim here when the waters are calm, but it is a lovely natural location with a quiet pebbly beach, ideal if you want a nice peaceful snorkel session. 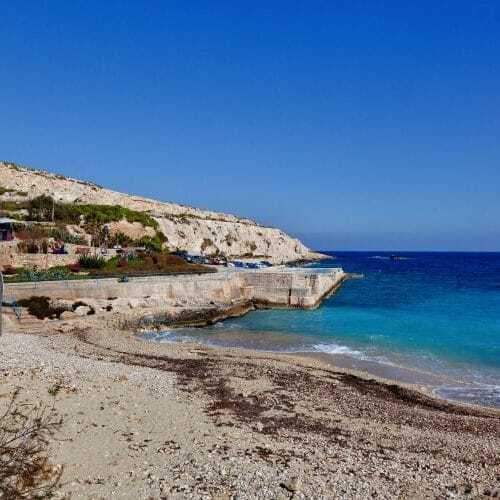 The clear, azure water and sparkling white sand, together with a beach club make this a favourite spot for snorkeling Malta . You have to negotiate a long flight of stairs to access the beach, but it is totally worth the effort. A Second World War plane wreck eight metres below the surface adds to the interest of this small sheltered bay. Head off the sandy beach to the rocky parks of the east part of the bay for great views. You need to watch out for passing boats and occasional currents but the reef that juts out into the sea from the tip of the harbour is a beautiful area to snorkel. Sadly, the Azure Window which this diving site sits next to has now collapsed but it doesn’t devalue the snorkeling experience here. A large creek that leads out from an inland sea pool features great natural rock formations that are home to coral, parrot fish and octopus. This spot is beautiful and popular because it has small caves at water level and deep, clear water. Take the long track from Qala village to reach the sea via bathing ladders. Considered one of the top 10 places for snorkeling in malta , Comino’s Blue Lagoon is celebrated for its marine life and colourful fish. The best time to snorkel is very early in the morning before the crowds arrive.